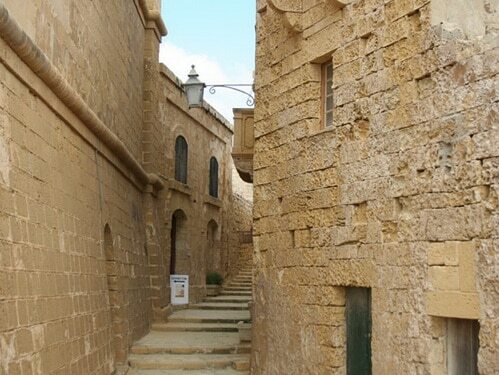 Malta and Gozo have three sites considered world heritage by the UNESCO (United Nations Educational, Scientific and Cultural Organization), which is remarkable, since the archipelago is so small. This means you can see all of the properties even in a short visit to Malta. Malta UNESCO World Heritage sites are unique and offer a great cultural experience while knowing more about the country’s interesting historical background. The city of Valleta (capital of Malta) has one of the most concentrated historic areas in the world: 320 monuments in 55 ha. Another feature that makes Valletta a unique place is that no important modifications have been made since 1798, when the Knights of St. John left. The fortified city of Valletta, built in a peninsula high above the sea level to be more protected from invasions, couldn’t help be ruled by Phoenicians, Greeks, Carthaginians, Romans, Byzantines, Arabs and the Order of the Knights of St John. Despite its ancient history, the capital of Malta is essentially a creation of the late Renaissance with a uniform urban plan inspired by neo-Platonic principles, fortified bastioned walls built around the natural site and the construction of magnificent monuments in strategically chosen locations. In fact, it was only after the great siege of Malta, in 1565, that the new city was imagined in an orthogonal urban plan by the Italian engineer Francesco Laparelli of Cortona, inspired by architectural principles of the Italian Renaissance combined with techniques of contemporary city-planning and aesthetic considerations of urban theorists. The uniform grille of the streets harmoniously accommodates buildings of the Order of the Knights of St John (last quarter of the 16th century) like Cathedral of St John, Palace of the Grand Master, Auberge de Castille et Leon, Auberge de Provence, Auberge d’Italie, Auberge d’Aragon and Infirmary of the Order. Also contributing to the balanced structure that UNESCO recognizes in Valletta are extraordinary religious buildings (also from the 16th century) such as Our Lady of Victory, St Catherine, and Il Gesù. The alterations made by military engineers and architects in the 18th century have not disturbed the harmony of the construction in Valletta. And neither did the influence of English architecture followed in the 19th and 20th centuries, which created original forms (narrow houses with bow windows, for example) that really flow with the rest of buildings in the Maltese capital. 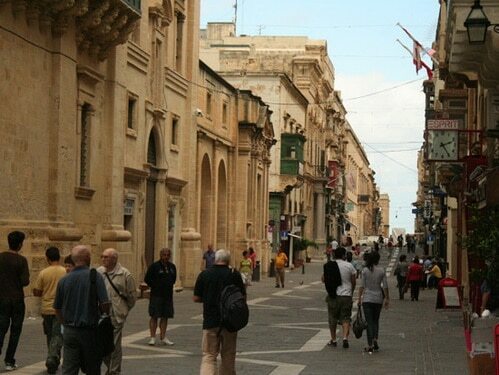 What is absolutely extraordinary in Valletta is that all this rich historic architectural patrimony is so well preserved nowadays we can say it is an example worldwide. And in no other place as in the heart of capital of Malta can we observe such density of buildings dating from the 16th, 17th and 18th centuries. Hal Saflieni Hypogeum is frequently called the “labyrinth” because of the many corridors that lead to a series of elliptical chambers and alveoli. The megalithic walls are constructed of cyclopean masonry (large irregular blocks of chalky coralline stone without mortar) decorated with rudimentary tools of flint and obsidian. We can differentiate the main rooms through their domed vaulting and the elaborate structure of false bays similar to the doorways and windows of contemporary terrestrial constructions. The Hypogeum was built to be a sanctuary (probably an oracle) but was transformed into an ossuary, which we can see from the remains of more than 7,000 individuals discovered during the excavation. In the upper level we can find a large hollow with a central passage and burial chambers on each side. The middle level consists of some chambers very well finished, giving the impression of built masonry. This workmanship is absolutely amazing, considering the tools used to carve the chambers (flint and stone). In some rooms, curvilinear and spiral paintings in red ochre can still be seen. In other areas, like the niches in the “Oracle Chamber”, the echo returns deep sounds. Like in Valletta, the state of preservation found in the Hypogeum is remarkable, specially in architectural quality and in the carved facade. 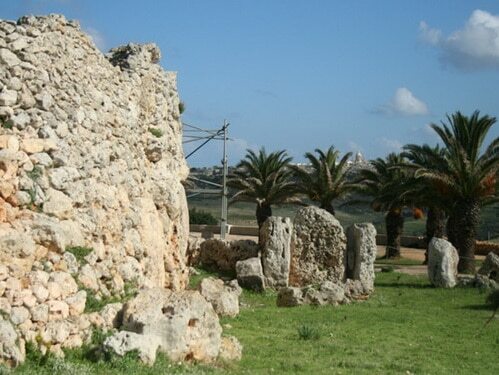 Unesco started to consider only the “Temple of Ggantija” as a world heritage site, but later recognized other prehistoric temples on the islands of Malta and Gozo and renamed the property as “The Megalithic Temples of Malta”. These monuments are the most typical examples of structures that represent a great development culturally, artistically and technologically. The best prehistorians consider these megalithic temples in Malta as “the oldest free-standing monuments in the world” but they are also amazing for their diversity of form and decoration. Similar in many ways to the three big temples in the island of Malta (Mnajdra, Ħagar Qim and Tarxien), the prehistoric ensemble of Ġgantija on the island of Gozo is still today preserved between an enclosure wall and its materials (hard chalky coralline and softer globigerina limestone) are in an excellent state of preservation. It actually consists of two temples of multi-foil plan. This ensemble of Ġgantija serves as a point of archaeological reference, the “Ġgantija Phase” (3000-2200 BC), one of the most important periods of the Maltese Bronze Age. The complexes of Ħagar Qim and Mnajdra are, on the other hand, the result of a separate individual development, which makes them unique. The use of globigerina limestone for orthostats and for the regular courses of corbelling above in the interiors show us the craftsmanship’s art, mainly if we consider what they had available as material and tools. The same can be said about the Tarxien complex but this one is not so well well preserved. However, since it is the only monument of this scale regularly excavated and reported on, archaeologists know a lot more about the detailed rituals performed in this temple. As for Ta’ Ħaġrat, it is the best preserved example of a temple with the early trefoil plan. It is mainly important as evidence of the development of the tradition. The same occurs with Skorba. In 1998, Malta “suggested” the properties below to be considered world heritage as well. Although we can think they well deserve it, until this date, UNESCO has not inscribed them yet.